The exploration and modeling of the drivers of CO2 emissions can help make effective CO2 emission reduction policies. 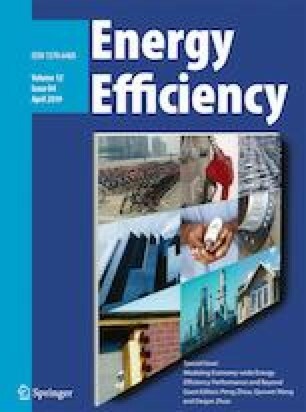 In this study, we examine the drivers of energy consumption-related CO2 emissions in China during 1978–2014 from a multiscale perspective. Firstly, we use the multivariate empirical mode decomposition model to simultaneously decompose the CO2 emissions and 17 drivers into several groups of intrinsic mode functions and one group of residues at different timescales. Secondly, we employ the stepwise regression analysis to explore and model the key drivers of CO2 emissions at different timescales without multicollinearity. The empirical results show that China’s CO2 emissions have obvious timescales of 6.17 years, 9.25 years, 18.5 years, 37.0 years, and long-term trend. At the short-term timescales, fuel structure and economic structure have significant impacts on CO2 emissions. At the medium-term timescales, urban population and fuel structure are the major contributors to CO2 emissions. At the long-term timescale, only per capita GDP has a positive effect on CO2 emissions. Finally, we propose the policy implications at the short, medium, and long timescales. This work is financially supported by the National Natural Science Foundation of China (71771105, 71473180, and 71303174), Guangdong Young Zhujiang Scholar (Yue Jiaoshi 95), Natural Science Foundation for Distinguished Young Talents of Guangdong (2014A030306031), and Guangdong Key Base of Humanities and Social Science—Enterprise Development Research Institute. IPCC, 2006. 2006 IPCC guidelines for National Greenhouse Gas Inventories. http://www.ipcc-nggip.iges.or.jp/pub-lic/2006gl/chinese/index.htm.